This post brought to you by The Hershey Company. 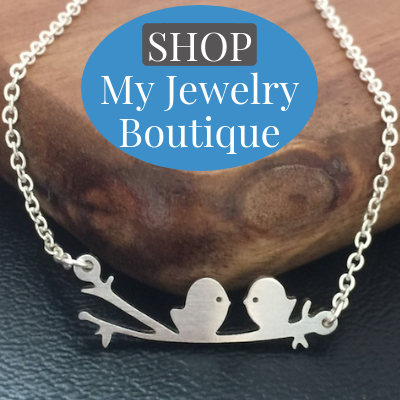 The content and opinions expressed below are that of Thrifty T’s Treasures. This birthday party centerpiece also doubles as party favors that you can send home with your guests. 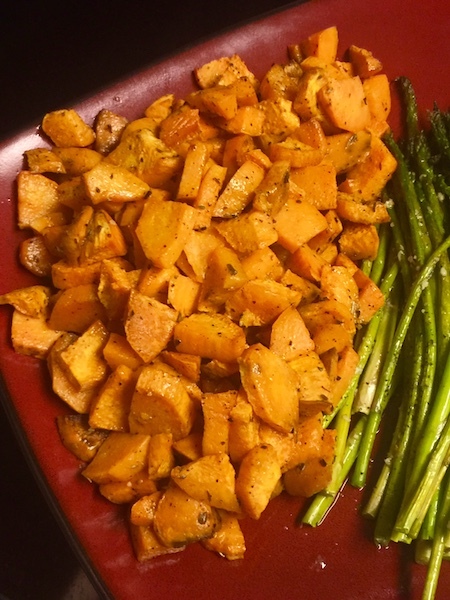 You’re going to love how super easy it is to make! As I was dreaming up this birthday party centerpiece the thought hit me – why not create something that will also double as party favors too. 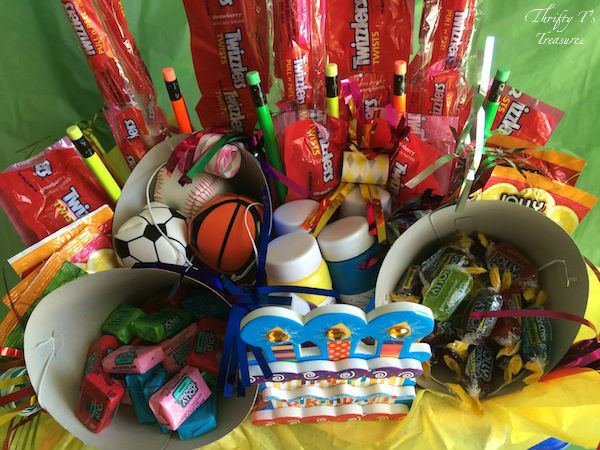 What kid wouldn’t love diving into this basket and filling a baggie full of goodies to take home? I know I sure would! 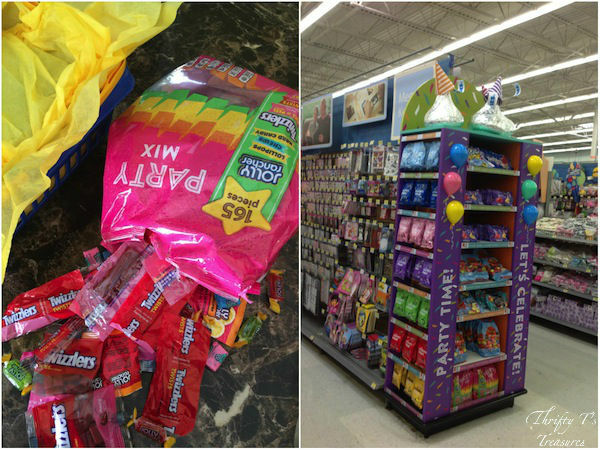 The party aisle has a new line of birthday-themed products from The Hershey Company so of course I had to put a bag of Jolly Rancher and Twizzlers Party Mix into my buggy. From Kit Kat Miniatures to Reese’s Peanut Butter Cup Miniatures to iconic Hershey’s Kisses Chocolates, the new birthday line has all of your favorite Hershey candies. 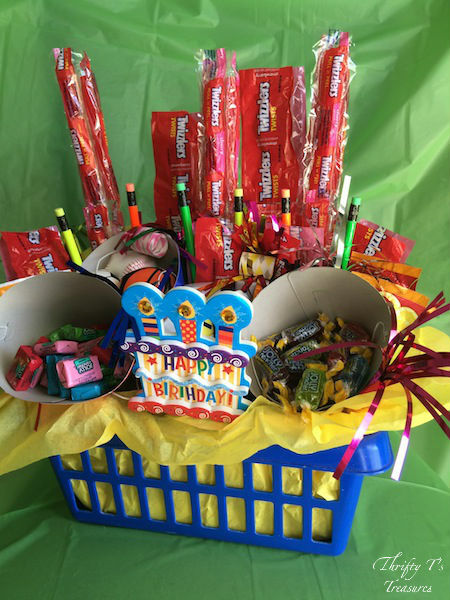 And you’ll love the brightly colored packaging that’s so festive and perfect for any birthday theme! 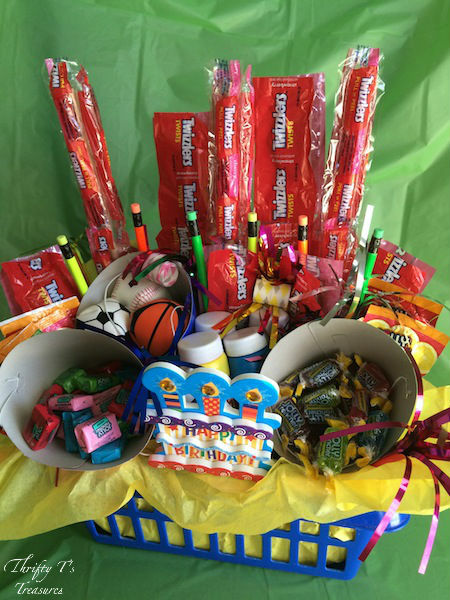 As you can see, this birthday party centerpiece is jam packed with all kinds of fun items that every kid will love! Let me show you how I made it! There’s no need to spend extra money if you don’t have to so take a look at the items in your house and see what you might have on-hand to use as the container for your centerpiece. This basket is one of Dalton’s toys from his play kitchen and I already had the tissue paper. 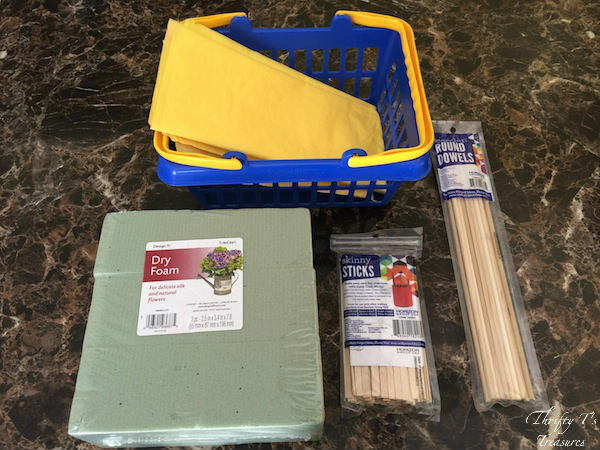 The craft aisle was the next aisle over from the party aisle at my Walmart so I scooped up the dry foam, skinny sticks and round dowels. Now that your base is done you can add you can add whatever you’d like. Along with the candy I added bubbles and brightly colored pencils. 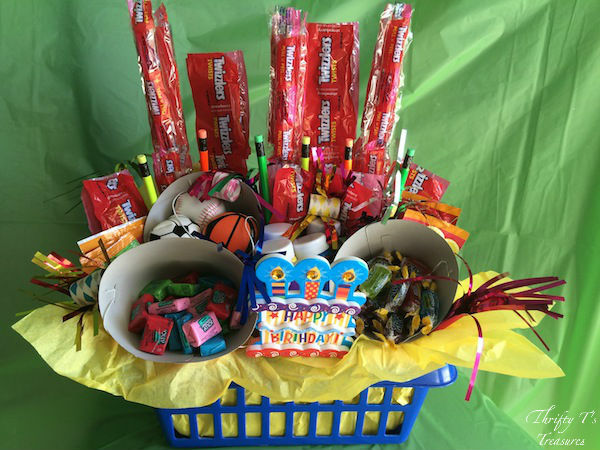 I placed the Jolly Rancher candy, Jolly Rancher Chews and balls inside birthday hats. When creating an arrangement like this I find that it’s easiest to just keep moving things around until they look the way you like them. Just have fun with it! If it’s not the way you like it the first go around, keep trying. 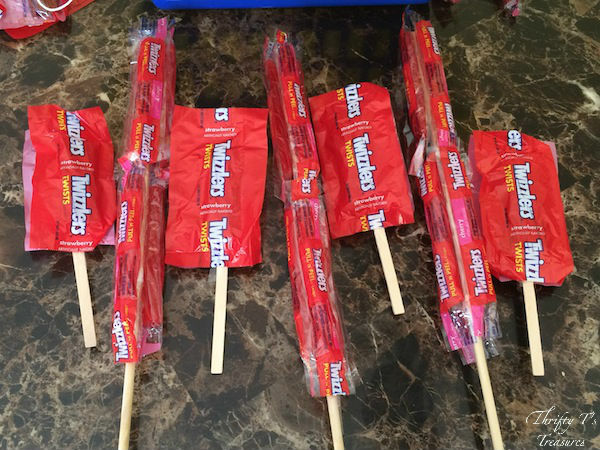 Creating the Twizzlers Pull ‘N’ Peel Candy sticks is easy peasy. 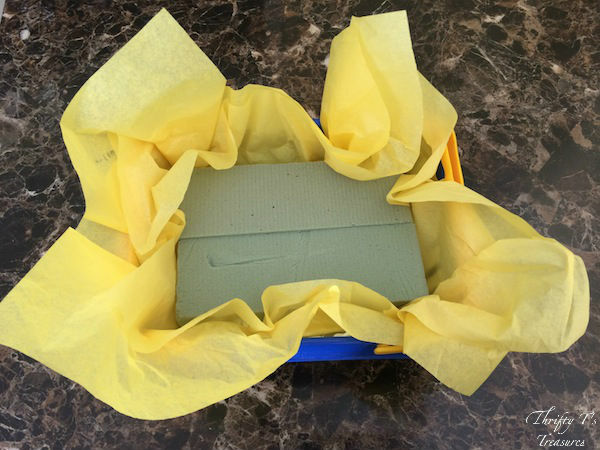 Wrap your round dowels with packing tape, placing the sticky side out. 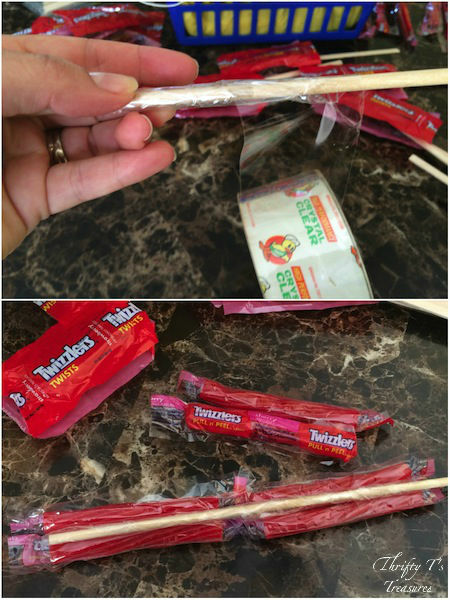 Place your Twizzlers Pull ‘N’ Peel Candy around the stick, making sure all sides of the stick are covered. 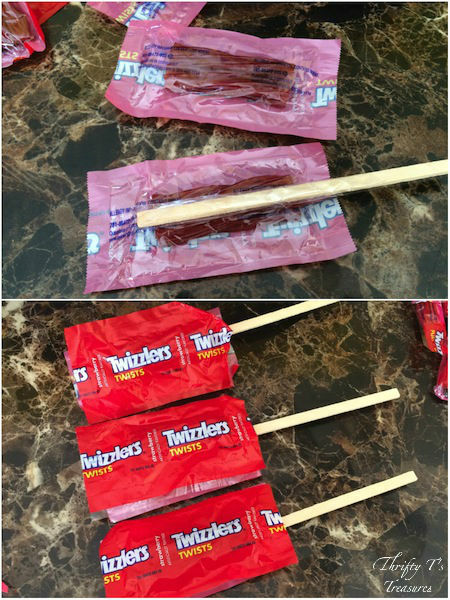 You can do the same exact thing with the skinny sticks and place a Twizzlers miniature candy on each side. Side note: I have to admit the Twizzlers miniature candies are my favorite. Twizzlers candies have always been a big hit with my family. In fact, we have them at almost every family get-together. Once I knew I had enough candy for the centerpiece I had to dive into a package and indulge my tastebuds! It doesn’t get much simpler than this folks. Hey, if I can do this you can too! Birthday parties with Hershey are fun for everyone. So whether you have a princess or superhero party in your future you’ll want to check out Hershey’s new birthday line that’s dressed in its birthday best and perfect for almost every aspect of your upcoming celebration!